The Viair H-Model Compressor is a hard mount compressor capable of pumping 2.30 CFM flow at zero PSI head pressure. It is designed to provide on-demand air when needed and easily fills 31 inches by 10.5 inches tire from 0 to 30 inches in under 2-1/2 minutes. Available in 33% and 100% duty cycle at 100 PSI with a maximum working pressure of 150 PSI. Featuring a built-in, moisture resistant On/Off power switch, wiring a switch to the truck is not required. 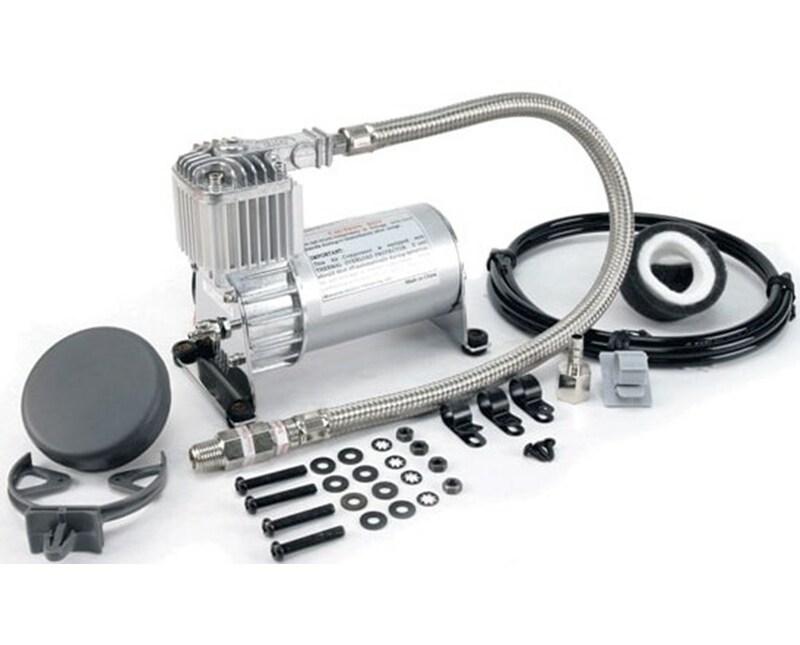 It also includes a heavy duty stainless steel leader hose with a 1/4” quick connect stud for hookup to a coil hose and insulated wiring for simple installation. 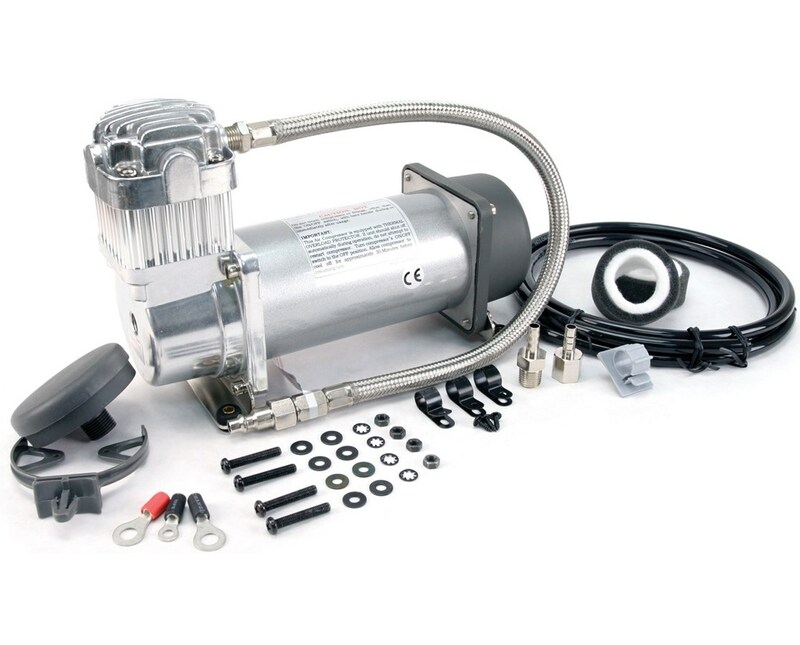 The Viair H-Model Compressor is easy to use, just mount the compressor, attach a coil hose and turn on. 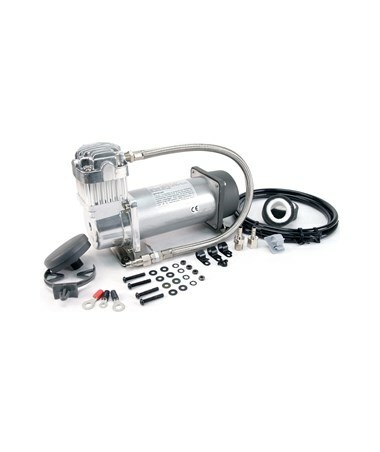 The Viair H-Model Compressor is equipped with a permanent magnetic motor with 12-volts motor voltage. It also comes with a thermal overload protector that shuts down the compressor when overheated and automatically restart as normal when cooled. Moisture and dust resistant, it has an IP54 rating. Viair compressors are covered by a 1-year manufacturer’s warranty. 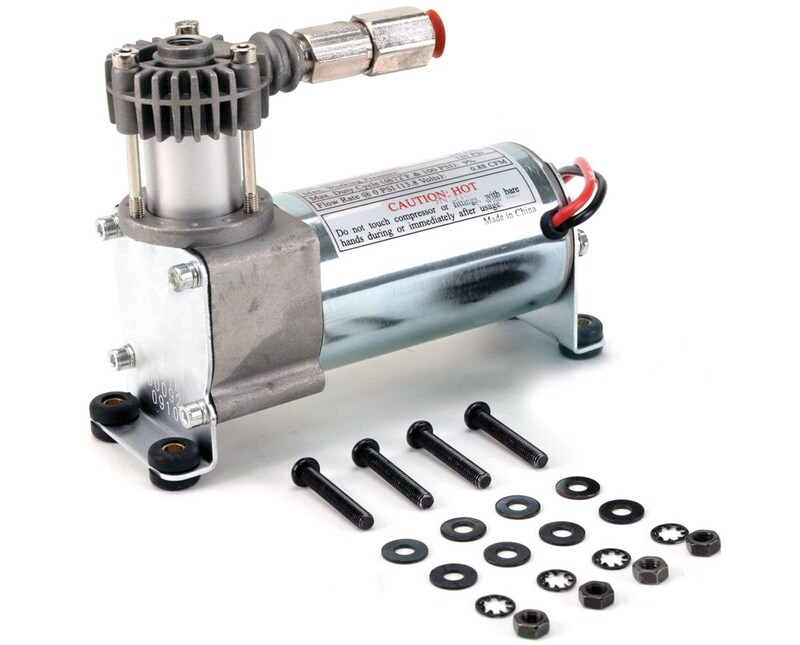 The Viair H-Model Compressor is available in different duty cycle. Please choose from the menu above. Fills 31"x10" tire in 2.5 mins.